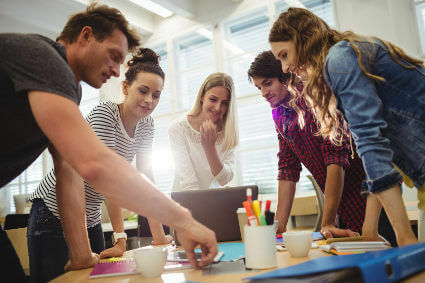 Is Your Business Ready For the Rise of the Millenials? Wise Business Plans > Blog > blog > Is Your Business Ready For the Rise of the Millenials? How can you get your business ready for the rise of Millenial entrepreneurs? Start by learning how they view the world because their perceptions will probably shape the businesses they lead and the workplaces they create. If you are interested in marketing to Millennial generation entrepreneurs or partnering with their business, some new valuable insights into how to approach these up-and-comers are beginning to come into clearer focus. To be an effective business owner you have to understand the landscape of your particular marketplace. If you fall into the category of a millennial entrepreneur or a company that does business with one, here are a few of those valuable insights to help you prepare yourself for the millennial business world and working with millenials. Millennials were the most likely of any age group to start a business because they couldn’t find a job and the least likely of any age group to report “I earn more money by having my own business”. Only 42% of Millenials said they started a business to gain “More flexible hours”, or have a “greater feeling of being in control of their life’, the smallest percentage of all the age groups. Millennial generation entrepreneurs care more about protecting their brand and their properties, intellectual and otherwise. They take the time to research information that can impact their business and ensure their companies more than any other age group. Because of the saturation of social media among Millennials, they will most likely be up to date on the new hot topics. If your business offers training programs or courses, look into how much of your client base is comprised of Millennial run companies then gear your content towards developing new and competitive skills. Tese will be more valued by Millenials than broad informative topics. What’s the bottom line? Millennials work hard. Although there are benefits of entrepreneurship, they are enjoyed less by Millennials than older entrepreneurs, Millennials worked at least 13% more each week than older entrepreneurs. In addition to seeking out training more often, Millennial entrepreneurs are also more willing to conduct business outside of business hours and use alternative tools like social media.